Behold this lovely princess and her special friend. 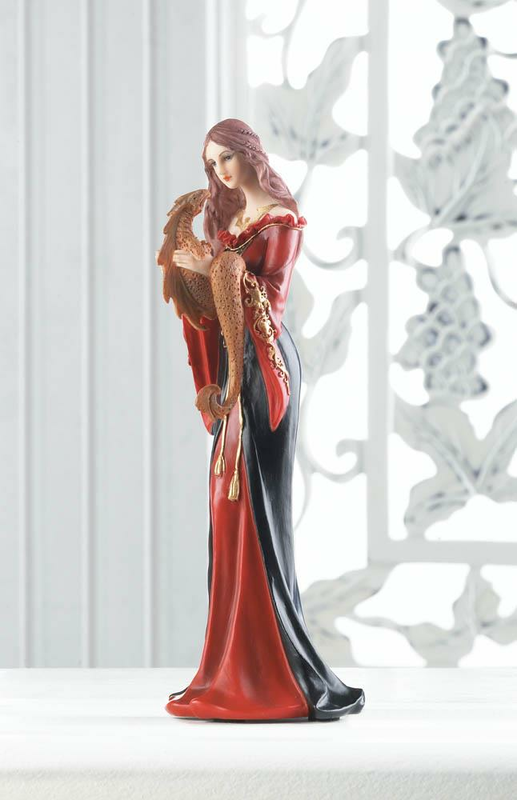 This unique figurine will bring a touch of medieval style to your shelf as you marvel at the princess' lovely orange and black gown and the fantastic orange dragon tucked safely in her arms. Weight 0.4 pounds. 2.5" x 2.25" x 7.5". Polyresin. UPC Number: 849179030643.